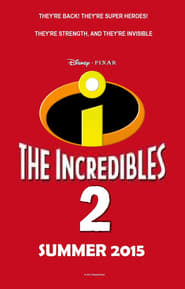 cool_cat318's movie review was featured in Incredibles 2.
cool_cat318's movie review was featured in Bolt. "Penny is my person"-Bolt. This movie is heart filling because I was absolutely was balling by the end of it, but in a good way. In the first 5 minutes I was on the edge of my seat, almost about to fall off. I just thought that it was so sweet that Bolt would go to the end of the world for Penny and when he did I couldn't contain myself much longer. I was so happy and relived at the end it was just such an amazing movie to watch and if I'm ever in doubt for a movie to watch well Bolt will solve my problems. Overall I rate this movie a 8 out of 10 and recommend it for ages 5 and above. 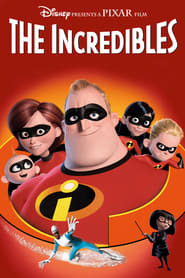 cool_cat318's movie review was featured in The Incredibles. cool_cat318's movie review was featured in Star Wars: Episode VII - The Force Awakens. "Longing you seek is not behind you, it's in from of you"-Maz. Star Wars The Force Awakens is a superb movie all on its own but with the extra back round from the other movies makes all that much better. Its about a girl by the name Rey who comes across a man called Finn and together they journey through a never-ending battle. Force Awakens is a heart filling and braking movie at the same time because you do loose some memorable characters on the way. Overall I give this movie a 9 out of 10 and recommend it for ages mature 9+. cool_cat318's movie review was featured in Spirited Away. "Once you've met someone you never really forget them"Chihiro Ogino. Spirited Away is a very emotional movie I think I could fill up a bucket of tears every time I watch it and I've seen it about 4 times now. It's about a girl abou 12 year old girl by the name of Chihiro and her an her parents are just taking a drive around the the village to get to know the streets and people. They come to a leafy part of the village where at the end of it is a massive long tunnel and as they pass through it things start to get more exciting. Spirited Away is very creative movie but there are a few parts where younger viewers might need to be warned about of may not understand. Overall I give this movie a 10 out of 10 and recommend it ages for 6 and above. cool_cat318's movie review was featured in Inside Out. "Crying helps me slow down and obsess life's problems"-Sadness. Inside Out a thrilling yet emotinal movie, I saw it with my family one day and we all left the cinema with tissues in our hands and wet eyes. I've watched this movie about seven times now and a tear always comes to my eye. Inside Out is a very particular movie I must say though, because it does include stuff about consciousness and being aware of how you feel. I recommend this movie for ages 6 and above. Overall I give this movie a 9 out of 10.